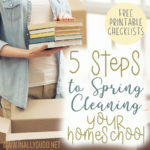 If you have been thinking about transitioning from public school or even private school to homeschool, you may be feeling just a little bit overwhelmed. 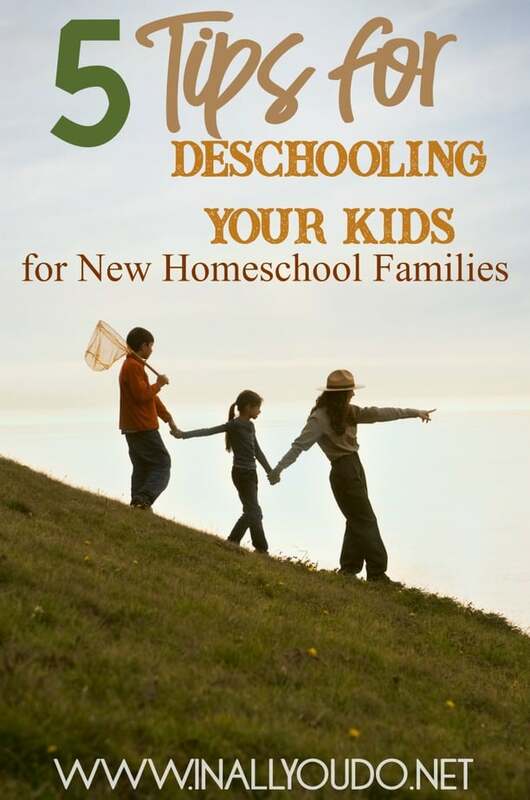 The concept of deschooling focuses on taking a break from the formal lessons and activities of school and allow your family time to adjust to the new school setup. While many families struggle the first few weeks of school, you don’t have to! Here are my top 5 tips for deschooling your kids. When making the transition from formal school lessons to homeschool, consider taking it easy or even giving your child a break from the traditional school setup. You can still do activities that encourage learning, but remember that finding a curriculum that works well for your child is a process, and deschooling can help you figure out which method is best for your child. Instead of jumping right into your homeschool curriculum, consider taking some time off or even scaling back your typical lesson plan to part-time for now. One of the best parts of homeschooling is being able to use your school hours to explore the outside world and get out of the classroom when you want to. Take your child to places like museums or historical areas in your town. Visit concerts or musicals and allow your children to transition in a fun way. Make sure whatever you choose is both educational and fun so your child can still be learning while you are away from the classroom. One of the best parts of homeschool is that you are the deciding factor in what your child reads! Visit your local library and pick out books to read throughout the school year, and get your kids involved too! This can help make learning more fun for them, and allow you time to create a movie adaptation lesson plan. You don’t want to set the expectation that now that your child is at home it will be all field trips and TV shows. Talk to your kids about what they can expect and find ways to help both you and your child learn what their preferred learning style is. Get to know your kids and what they are interested in. This is going to help you better build lesson plans around what they are going to listen and respond to best. It’s okay to take things easy and relax for a little while. Public school can be nonstop and even a little stressful. It’s okay to sleep in a little later than you’re used to and spend more time together as a family. You may even find that you get to spend more time with your kids than you expected! Spend a little time going for a walk together, or watch an educational show together. These can still be fun but aren’t as intense as a full lesson plan. 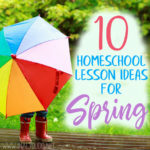 Homeschooling doesn’t have to be challenging! Use these five tips to make transitioning to a homeschool classroom easier. Enjoy a FREE 10 minute early childhood music class! 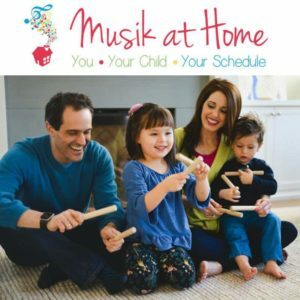 With Musik at Home classes, you can give your child a holistic music education from the comfort of your own home. We bring the class experience to you! In this twisty, turny class for ages 1-5, bouncy rhythms and story rhymes are sure to captivate little minds and bodies. Grab some rhythm sticks, kick up those dancing feet and put on your listening ears! Add your voice to the songs you hear. Chant and echo fun musical patterns and animal voices! Whether you’re in a quiet or energetic mood, this class has it all! I wish I would have known this as a new homeschool mom pulling my kids out of school. I feel like not enough parents either don’t know this or are afraid to embrace it. 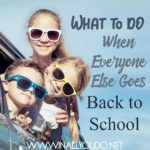 For the first week or two of school, I felt like I had to recreate school at home and that totally stressed me and my kids out. 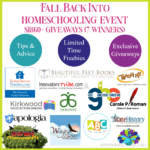 We eventually got it worked out and had a great 1st year of homeschool. Read alouds is a great way to deschool, but also get some good quality stuff in your kids heads. Maybe even focus on some good educational shows. My son loves these and learns so much from them. Way more than sitting and doing workbooks for 3 hours. Another idea is to use this year to focus on attitudes, behavior, habits, morals, and values. When my kids come out of public school they had some super bad habits and bad attitudes about learning and school in general. I’m looking at this from a perspective of a mom who has been there, done that and wish I had done it differently. What great advice and tips! Thank you for sharing! I find nothing difficult about teaching music to our children since all my children are ages 15 and up. They all take music lessons, have sang and participated in choirs at some of the various churches we attend. The most difficult thing in teaching music is not having a piano. Thanks for sharing the tips. It was really great to read your post.